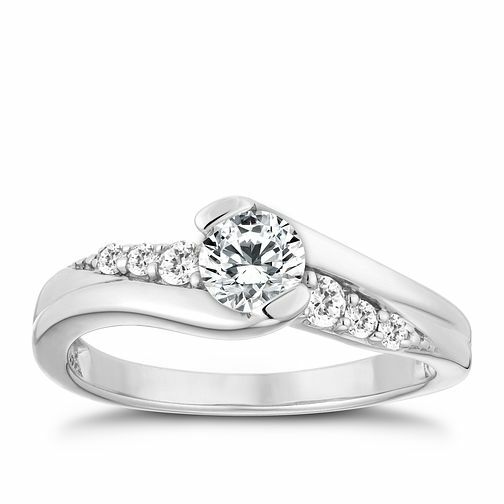 9ct White Gold Half Carat Diamond Solitaire Ring is rated 4.7 out of 5 by 10. Rated 2 out of 5 by Anonymous from Yes it’s a beautiful ring, but Yes it’s a beautiful ring and it stands out too...but the setting means that the diamond becomes loose and you no longer enjoy the ring because you’re constantly worried the diamond will fall out. My partner paid for the insurance for 2 years and after one repair the diamond is so loose and it took a month to repair I have just given up on it. So in summary it’s a great ring but if you want to wear it for many years to come choose something more sturdy!! !